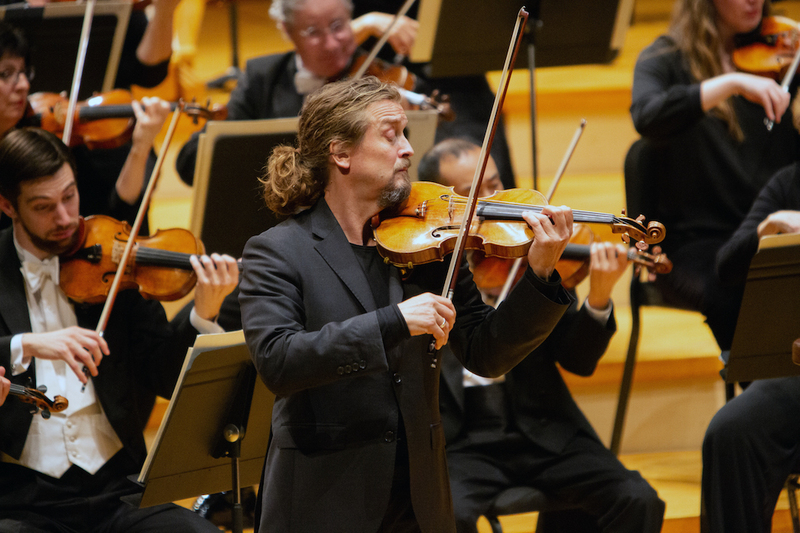 San Francisco Symphony’s performance in Helzberg Hall was breathtaking, certainly, presented with fresh, exploratory curiosity. 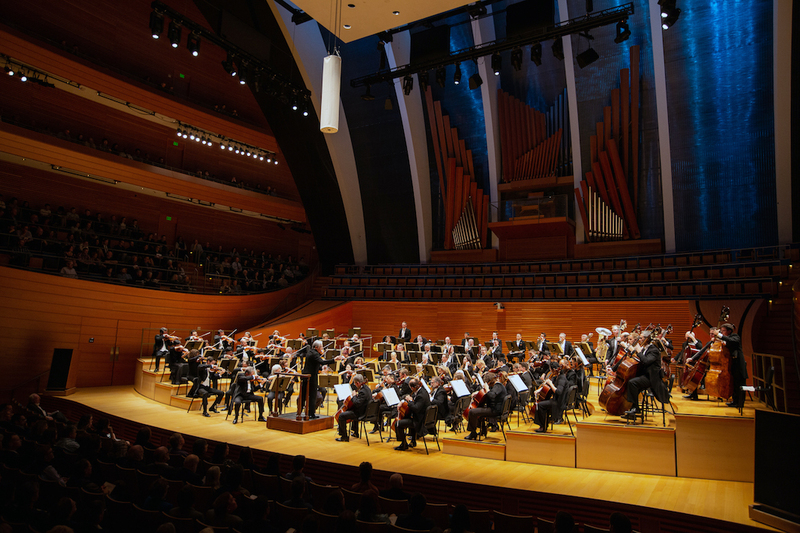 Thursday night was the orchestra’s third Kansas City appearance, presented by the Harriman-Jewell Series, and the final US tour with long time music director Michael Tilson Thomas, who steps down in 2020. While it’s surprising that the program didn’t include some of the hallmarks of his time with them, notably the emphasis on American music, one could not find fault with the selections or delivery. Whether intended or happy accident, the works forged a narrative that was part nostalgia, part hope, a sort of simultaneous reflection as though between two mirrors: Ravel and Sibelius both looking to previous eras for inspiration, while Mozart was, as ever, forward thinking. Maurice Ravel’s “Le tombeau de Couperin,” written in the aftermath of World War I, has a similar aura of remembrance as a field of poppies, something beautiful and renewed resulting from the atrocities of battle. The four movements exemplified Ravel as a dab hand at creating thrilling colors within the orchestra, performed with excellent clarity. The Minuet particularly exhibited this sense of memory, the swells from the strings like the glint of sunlight that momentarily distorts one’s view. Notable, too, was the exquisite use of the oboe, as performed by James Button as soloist and in cohort. Tilson Thomas, not an extravagant performer, displayed ease as he sculpted the ensemble’s sound with a tug of the ear here, a swift chop there, a few thumbs up after particular spots. During Forlane, he leaned way back on the podium as the rhythms came skipping, tumbling out of the orchestra, as if to pluck the notes from the air. Grand, swift gestures emphasized a moment’s elegance; succinct beats didn’t distract from the propulsive energy or the crisp bursts of excitement in the Rigaudon. This casual confidence, how he joked a bit with the principals, showed a translatable trust during performance, too, maintaining quiet holds and fragile silences. Mozart’s Violin Concerto No. 3 in G major. He had a smidgen of push-me-pull-you flexibility to the phrases, arriving together even if the path wasn’t walked in step, the orchestra serving a steadying, though not complacent, role. The long, plaintive line of the Adagio had a wandering spontaneity to it, his compelling sincerity giving a more surprising and personalized rendition than anesthetized precision. A bit of Johann Sebastian Bach on the encore satisfied the audience, as Tetzlaff took them on little journey through the Largo from Sonata No. 3. To me, Sibelius’ Symphony No. 2 in D major unfolds like an epic tale of derring-do, but so subtly crafted, with asides and tangents, flashbacks and foreshadowing, that you don’t realize that every detail connects until all the characters gather in the last scene. As with the Mozart, there was a sense of discovery, the orchestra performing as though revealing secrets, some declaimed, some whispered. It was this control and resilience, as when the low strings began the second movement, which triggered an audible “wow” from an audience member in my periphery. The work had a quality throughout of near peril—the insistent tuba/low string moments, violins swarming, undercurrent of timpani, the trumpets in disruptive flourishes—as captivating as any grand adventure. The final movement, especially, was a glorious monument, chiseled with a finesse that made the performance both incredible and inevitable. The orchestra (or at least part of it) had an encore, too, with a gleeful high register “March Miniature” from Pyotr Tchaikovsky’s Suite No. 1, the triangle a-tingling amid yet another oboe (and flute, clarinet, and violin) highlight, like a music box petit four. Though this was Tilson Thomas’ last time in Kansas City as music director with this ensemble, it’s by no means the last hurrah of his career and hopefully not the last time we enjoy his influential music making. Reviewed March 21, 2019. San Francisco Symphony, conducted by Michael Tilson Thomas, presented by the Harriman-Jewell Series. Helzberg Hall.